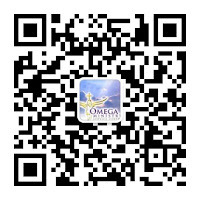 eng.omegaministryorg.com: Testimonies at IHOP – our God of Love. 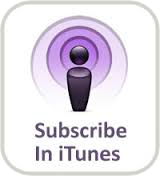 Testimonies at IHOP – our God of Love. In approximately June of 2011, I was told about an international ministry in the United States. I heard that they have people there devoted in prayers and served in overnight prayers undertaking the tabernacle of David. I was hungry at that time, but not knowing exactly for what. One midnight evening, when I was praying with my colleagues, I saw in a vision that a ministry is underway, it was at a place located in a plaza of an American city. What I saw also what something big about to happen (though I don’t feel this is the right time to discuss this). After I have had this vision, I was quite sure that it was also the place God had wanted me to see because there was a site there hosting 24-hour prayers. I prayed on this about two days onwards. Every time when I was alone with God, I saw again and again the same place. After repeatedly seeing this, I had a burden in my heart. So I prayed to God, “if it were possible, and something great is going to happen, let me go there; before it all happens, I would like to go, to witness the 24-hour praying. Let me also see your glory there and its beauty.” After I had finished, I went on with my days and left this behind, not knowing yet exactly what this ministry is about or where it was at. On September 19, 2011, I had another vision. In it, I saw myself spending a vacation there the very same ministry (called the International House of Prayer). Along with me were also the Lord Father, the Holy Spirit and Jesus. Now before I went there, in my vision, I got a plane ticket from God, He said it was specially prepared for me. The Holy Spirit handed me a bag. I had no idea what was in it at the time, but only the fact that I would return again with it. God said to me, “you will bring the bag back, and you will eventually use what is in this bag, it is a plane ticket to Kansas.” After this vision, I started searching for Kansas on the map on my computer. I wanted to find out what was about to happen there. I also remembered from the vision that on my trip to Kansas, I had to stop in Chicago on the way. In addition, I will be meeting a Chinese woman who will be sent to help me. I also saw that there will a Caucasian man were helping us with our luggage. After I had this dream from the 18th, I went on with my days and had completely left this out of my mind. Yet I still had a burden to go visit the ministry that I saw in my vision. One day, I got a call from a sister named Catherine. So I told her about my burden, and that I wanted to go have a visit at this ministry saw in the dream. She was also very interested by what I said, so we both started researching for this on the Internet. Now before this, I had been praying to God for a long time, for the burden I had. Then one day, maybe at the end of November or December 2011, the Holy Spirit started speaking to me when I was praying, “this coming March, you will go to the ministry.” At hearing this, I became very excited. I called up one of my colleagues to invite her on the trip with me. She began looking up conferences on the Internet, and asking me to confirm whether it was March that I heard from the Holy Spirit. I replied, “yes, it was for sure March that I heard, and it will be a Chinese conference.” But the sister told me that she couldn’t find anything on the Internet regarding any conferences in that month, and that perhaps I had heard wrong. I prayed again asking for confirmation, it was clearly March. But I was busy with a trip in February at that time, so we had to put this on hold. After I had returned from my personal trip, I asked my sister to look further into her research to see if she could find anything now. If this conference were not to be in March, could there be any others the same month. After she had searched, she called me back excitedly saying that she had really found one in March, which is called the Passion in Jesus Christ, the date on it was around March 20. Three of my other colleagues also had interest in going, they too, have received messages from God. We then decided to go together, the conference is called IHOP. Miraculously, we saw God’s work all throughout our trip from the very beginning. First, our expenses were all provided for the trip. When it had come to time for booking the plane ticket, a colleague of mine, Julianne, called. From what she read online, there was going to be a stop in Chicago, on our way to Kansas City. It just like what I had heard in my dream. She had also told me the approximate cost for the trip. I began planning then where to get the money for the plane fare. Should I transfer the money from one of my bank accounts? Then something interesting happened. I went home that night. The next morning, around 8 am, my husband got up, and told me someone had called the previous night from Switzerland and told me that I should check my email. It is something regarding a plane ticket. So I thought to myself that it must have been Julianne who’s called to let me know she’s already made the booking. So I went and checked my email. Surprisingly, the email was an offering from a sister, to support my trip to IHOP: a two-way ticket and the registration fee for the conference. It was then I remembered about the vision I had in my dream on the night of September 18, in 2011. In that dream, God has clearly put a plane ticket in my hand and told me that it was for a trip to Kansas City. So then I realized that this had been the Lord’s plan for me for a long time. What He had also prepared for me was the entire expense for the trip. My faith suddenly strengthened. On the day that I was leaving for my trip, work has become ever more so busier. Two of my colleagues said that I must be at the airport at least an hour and a half early, since it was a trans-border flight, and that just checking-in at customs would take very long. They warned me again and again that I should go early, since their friends in the past have experienced delayed flights because of late check-ins. But sincerely, I really did not expect work to become so busy. I didn’t get to leave until it was 12:40 pm. When I had gotten to the airport, we were 20 minutes to boarding. Others in the car were worried that we’d be late, negative thoughts filled our minds. I kept on saying to everyone everything would be okay, and that God for sure will open a way for us. But it was a miracle because although we had gotten there late, there were not a lot of travellers that day, we were sent through queue quickly, the questions at customs were brief too. The entire trip was a blessing. The night before our flight, Catherine also got her VIP card in the mail that upgraded her traveller’s plan. So by using this VIP card, it had gotten us quickly thought getting luggage checked in, all for free. There were also access to the VIP lounge with the card, and there were also free food. We also got a good rest before the flight. Since none of us had much to eat that morning, we couldn’t be more thankful for God has prepared us this food. It is God blessing His own work, the entire trip was very pleasant and full of blessings. There was another testimony on our way there. As we arrived in Chicago, one of the sister suddenly had stomach pain. So God showed me to pray for her. I followed exactly what was being told to me by the Holy Spirit, and asked the sister to do so as well. After we’ve done that, her pain was gone immediately. It was another testimony added to our trip. We got to Kansas City at midnight. It was very windy outside. Before we came out of customs, a man dressed in a blue shirt appeared in the distance ahead, there was light all around him. I took a closer look, but no one was there time time. All of sudden, my spirit awakened and I knew immediately it was an angel I saw. When we had gotten out from customs, we saw no one coming to pick us up. Not knowing what to do, my colleagues started running around and checking various gates at the airport for any possible signs of our vehicle. About 10 or 20 minutes had passed, we saw no car coming still. I was starting to think this will be another night at the airport again. At this moment walks towards me a man, dressed in blue. He was tall, Caucasian white. He approaches and tells us, “don’t wait here. There won’t be any cars coming for you here. Go to…” After he’d said that, he disappeared behind the airport gates, before I even had a chance to thank him. I knew it must be the Lord, praise Him. After my colleagues, Catherine and Julianne had come back, we went as instructed by the man. Our van was pulling in just as we had gotten there. Sitting in the car, I was trying to make connections with what I had seen in my vision and what had all just happened. How had the man known that we were waiting there, without me telling him anything, and he didn’t even ask me any questions? And how did he come and go without car, I didn’t see any vehicles parked outside waiting for him. I had multitude of questions. It wasn’t until we had reached the hotel that everything started to piece together. We booked a hotel before the date of our arrival on March 20, it was a nice evening spent there. The conference was not until the second day. It was four days in total we were there, and there were buses bringing us from the hotel to the conference site. The following are testimonies to our days at IHOP. We had gotten up very early in the morning the next day, and neither one of us has had any breakfast. By noon, I was very hungry. I passed down a note to my colleague, “I am starving, I think I would be able to eat two people’s meal.” The way our meal plan works was that each person is given a coupon for claiming each meal, these tickets were included in our registration fees. The ticket had dates on them, if you miss a meal, then your coupon expires after that day. My colleague writes back in reply, “I am very hungry too, but it`s going to be lunch time soon.” At the end of the sermon, we took our coupons to redeem our lunches, and one of my colleagues realized there was more than one coupon in the envelope. I said to her that it is not possible because every ticket was pre-printed when it`s given to us, according to what we registered for. I then saw with my own eyes that there were more than just one ticket in her hands, which had made our portions double. We knew then clearly that this was something from God. And thankfully, no one lacked their share after everyone has had eaten. Each person had received his own, only us, we had double. It was not just that meal, each and every one after that, we found our tickets to have doubled in the envelope. That same afternoon, we had found again one too many meal tickets. Other times even two! Praise the Lord’s for his mercy. The same had happened the third day, then the fourth day. So we decided to give our extras to the brothers and sisters who also came from Taiwan. We heard that for economic reasons, many of them ate only one meal a day. So we gave the additional ones to them. When we told this to the people there at IHOP, they were in disbelief too as they have had never heard about anything like that, it were as though the meals were multiplying themselves. During the breaks throughout the conference, we stayed at the conference site because it was a bit far for us to travel back and forth on bus. We would, us three, go pray in the chapel, and would enjoy the music as well as the presence of the Lord. The second day, we again spent our time praying at the chapel just like the first day. My two other colleagues said they’ve also enjoyed the experience there, being able to dwell in the presence of God. I remembered the very scripture where ”Peter said to Jesus, ‘Lord, it is good for us to be here. If you wish, I will put up three shelters – one for you, one for Moses and one for Elijah” - Matt 17:4. I wished we didn’t have to leave ever from there. Then I heard the Holy Spirit speaking to me saying, “go out from here.” But I was enjoying myself in the presence of the Lord and wanted nothing other than that. About 10 minutes had passed, two words appeared to me in the air, “go out.” I ignored it since I did not really want to move. Again, the same two words appeared to me again, “go out.” My spirit starts awakening and I thought to myself, it is the Lord himself, then I should obey. I nudged the sisters by my side and said, “I think I’m going to go for a while.” Them too, seemed to have been sitting quite comfortably for a while and said, “we don’t feel like going anywhere.” So I replied, “okay, but then I’m going out, because the Holy Spirit is calling me to do so, so I think we should go.” They looked at me with wide opened eyes, but thank the Lord, they quickened to follow, “we will go with you then.” Yet, I knew they had unspoken questions. This incident was a lesson for me. It is certainly challenging to change directions from what it seems to be already glorious, which does not easily call for obedience. We were honestly quite comfortable in the place that we were already at, why then a change? It was indeed difficult to submit and obey. But what we couldn’t see at that time was what God had in store for us, and those could be even greater things that God has prepared for us. And we can only obtain it by submitting completely in obedience. As we were leaving from the chapel, we entered the corridor. As we were approaching the walkway, Catherine ran into one of her friends that she hadn’t seen in twenty or thirty years or more. Her name was Amei. The woman was surprised at seeing Catherine as well. She asked us of where were we we staying. So we told her about our hotel, after hesitating for a while she said, “But I have a place for you to stay, it would be much closer to here. The house has two vacant bedrooms right now and could fit the three of you.” We looked at one another in awe. Are we to really check out of our hotel and move in to her house? As we were pondering on the though, the sister urged us enthusiastically that we should go back and check out right now from the hotel. Her enthusiasm touched us and we decided to accept her generous hospitality. We went back to the hotel that night and asked if we could check out that evening, also expecting at the same time to be refused our reservation fee, since this would appear as normal for leaving earlier than the booked stay. And surprisingly as it had turned out, the hotel clerks were able to refund us in full for the rest of our stay. We couldn’t be ever more so thankful! Praise the Lord for having readily prepared everything! Amei’s house was really big, it had 1 bedroom upstairs, 2 others on the second floor, and there was also 1 room downstairs. We learned that Amei has no income other than her rental income from the house. She worked only at the IHOP ministry. She already had one room rented out to a pastor from New York, and another room was occupied downstairs by a sister from church as well. Yet, she did not make us pay single dime for staying there. When Amei was taking us to her house that night, she told us about a testimony on our way there. In the beginning of that month in March, she had all her rooms rented out from the house, the pastor and the church sister only moved in this month as well. And then all of sudden, two of her tenants said they’re moved out, leaving two of them vacant. So she had a feeling then that God was planning something else for her. Yet despite the vacancy in her rooms in March, it was said that these rooms will be expecting new tenants in April again. The only time that they were vacant was during the period we were there. The she said that when she was meeting us for the first time, it never occurred to her to have over to her home, she had only meant to say hi. What drove her to encourage us to check out from our hotel, she had no idea. She could feel the Holy Spirit working inside of her, bringing her to our support on this trip. So as we continue living there at her home, we were able to pray and share God’s words with her. Thanks to Amei’s house, I was able to pray also for some of the other brothers and sisters, who came to gather at her home, as well as for pastors from the IHOP conference. As I prayed in past couple of nights, Lord Jesus kept on speaking to me, “I love you so much, did you know that, I love you very much, just like a groom loving his bride, I love you too. Can you see that I am in love with you, I love you my dear bride, that I would do anything for you.” In these past few days, I could feel God’s love working in me in all different ways, through miracles, and showing me I’m his favourite, as the apple of his eye. His love shown to us so we understand how special we are to him, and that He will be protecting and watching over us, guiding our every step. Every part of my heart and body was touched by this love. Then during the days I was at IHOP, I understood clearly what God’s love was. I was also deeply touched by it, it felt like the kind of love I had when I fell in love with my husband. The next day, Amei brought us to the local supermarket. We bought eggs, noodles and some bread. That was the third day. The afternoon of the third day, during the sermon, the Holy Spirit suddenly spoke out to me, “go to the bookstore, I will show you what to buy, go now.” Because I’ve previously had the experience of the Holy Spirit speaking to me from before, I felt excited at what was about to happen next. I left and came to the bookstore. As told, I picked out some books and CD and started to wait in line for my turn. The line grew shorter as people ahead of me went and paid, just when it was about my turn, a Caucasian woman (she looked like a manager at the store) came beside me and said to the girl at the cash register, “give this lady some discounts for her books and CD.” So I received a good amount of discount on my books. Then again that same night, after the sermon, the Holy Spirit urged me to go again to the bookstore, this time for some CDs. This time, I asked my colleagues to see if they wanted to follow. So we went together, to the exact same bookstore. We were ready to head out after picking out some CDs, and were sharing what we each had found. I showed them the one I had picked out, the back of it said $5. I stopped and looked at them, because the exact same CD they had picked out also had the same cover to mine, and the same design also the same contents, but theirs were showing $15 on the back! “I can’t believe this,” they exclaimed, “surely they are the same copies, aren’t they not, how could their prices be different?” Perhaps there had been a mistake in the label, we thought. At checkout, the cashier helped us to scan our stickers on the back. Surely only my copy said $5, but the rest all show $15. Even the cashier could not explain. After we had come back, we posted this story on Facebook, seeing God that has really blessed me tremendously. I was ever more so happy, for God has shown me that I’m of his favour in front of everyone. On our fourth day there, I had finished all our noddles, and craved very much for some more fruits. But then that requires a trip to the supermarket. Due to the fact that we didn’t have a car and no one was able to drive us, I knew this was impossible. The only friend we knew there was Amei, but only she was tremendously busy. I have told my others colleagues that I really craved for fruits, but they pointed out the short time we had during breaks, and it would be impossible because there wouldn’t have been enough time to be making a trip to the supermarket and come back. How would anyone be able to drive? I did not know what else to do. I started pacing back and forth between the corridors and the prayers’ house, murmuring to God, “but I really wanted fruits though.” I come back out and went back in to the bookstore still haven’t given up to God, “I really wanted fruits.” Then came from the bookstore and back to the chapel, back from the chapel, to the bookstore, then back and forth again. When it was my second time coming out of the bookstore, I’ve told God three times that I wanted fruits. At this moment, a brother was coming out from inside the building, and walked towards his car. He was going past me. I approached him quick and said fearlessly, “hey, I saw you playing guitar up on stage, where are you heading to now?” He told me he was driving back home. “Where are you guys heading to?” He asked me. I was delighted that he initiated the question, so I said, “Actually, I wanted to drop by the supermarket to pick up some stuff.” He then said that he had only 20 minutes, but then that should give him enough time to drive us there and come back, so if we would like, he could bring us there. Praise God for also watching over us on our small needs, He is really our Provider. Happy as I had become, I said to my colleagues, “our God Lord for sure is faithful, see, as we had wanted fruits, so He has sent someone on his way to help us out.” We got into the car with the brother and were setting out on our way to the supermarket. Our last day was filled again with miracles. That afternoon when we were about to leave, we met a sister from the Elim Christian Bookstore. We shared our miracles that we’ve experienced with her. She listened to our stories with her eyes wide open, “It was indeed a miracle, God must have really favoured you for He has brought you here. This is a conference of more than hundreds of people! And God has chosen you guys to come, He must have favoured you so so much. I can imagine what you’ve been through these couple of days. Since you’ve mentioned, I also have some CDs with me, some of them are new songs published by the Elim Christian Bookstore. So I would like to share with you and allow you to bring them back in your work for God. Here, bring them with you, take them as gifts, you can use them for the ministry.” Praise the Lord! God has prepared everything for us, even on our last day! So we brought back free copies of CDs and worship songs, back to Toronto. The entire trip to IHOP was a living testimony God. He has been our Provider, and letting us see his miraculous work throughout every little thing. 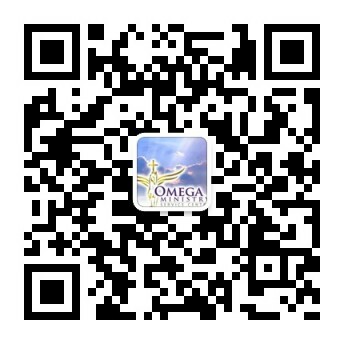 The experiences have made our faith grow stronger and strengthened our hands in His work at Omega. He has made this trip a living testimony to show us His presence among us. On top of all, He’s also shown us that we are his beloved ones and favoured brides. How thankful are we for that!